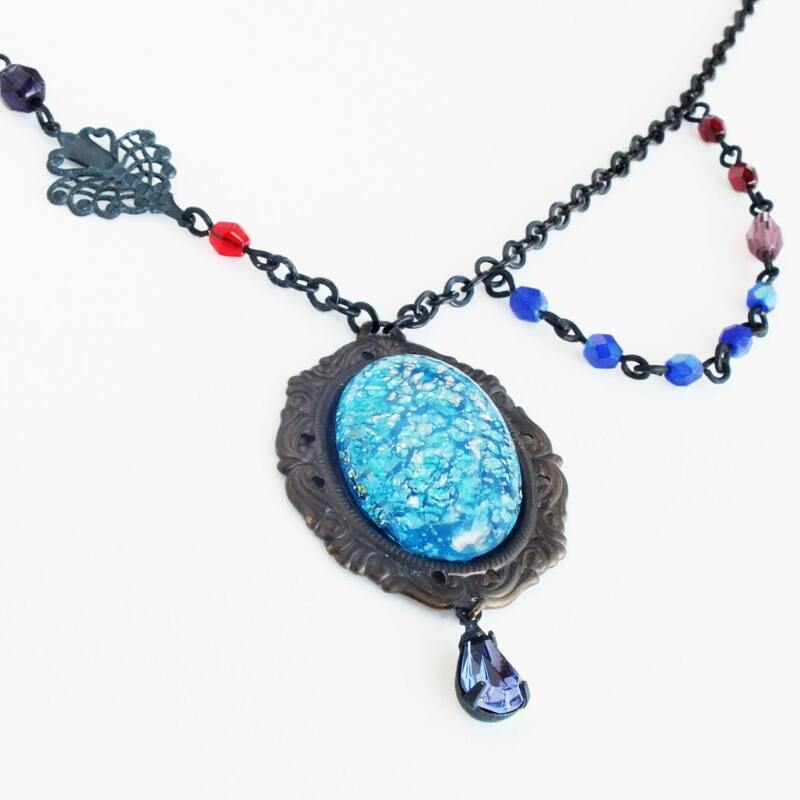 Handmade aquamarine glass opal necklace with vintage aqua blue harlequin fire opal pendant. 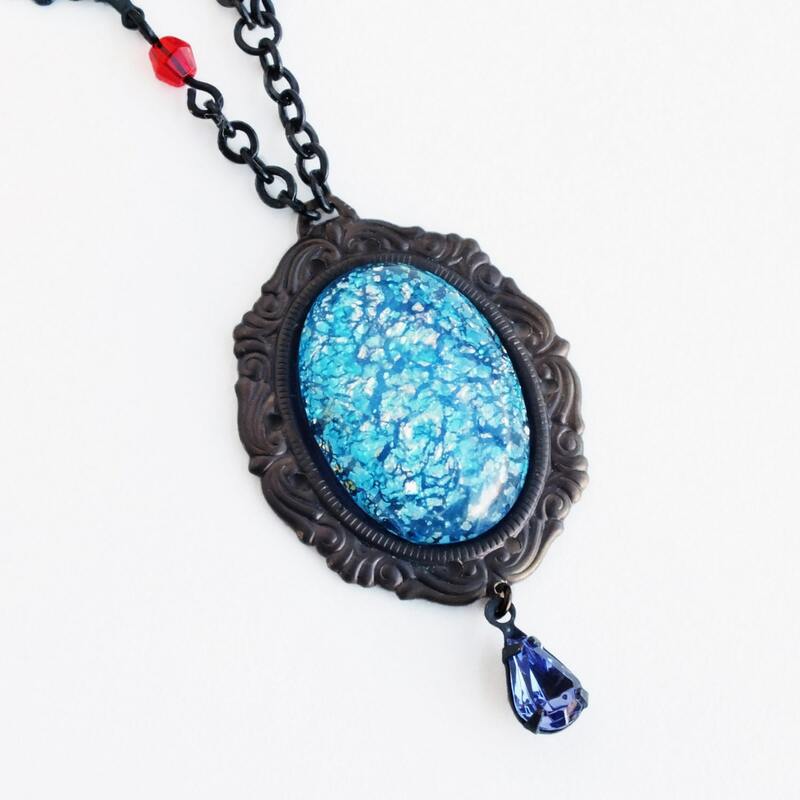 Genuine vintage glass cabochon and rhinestone. 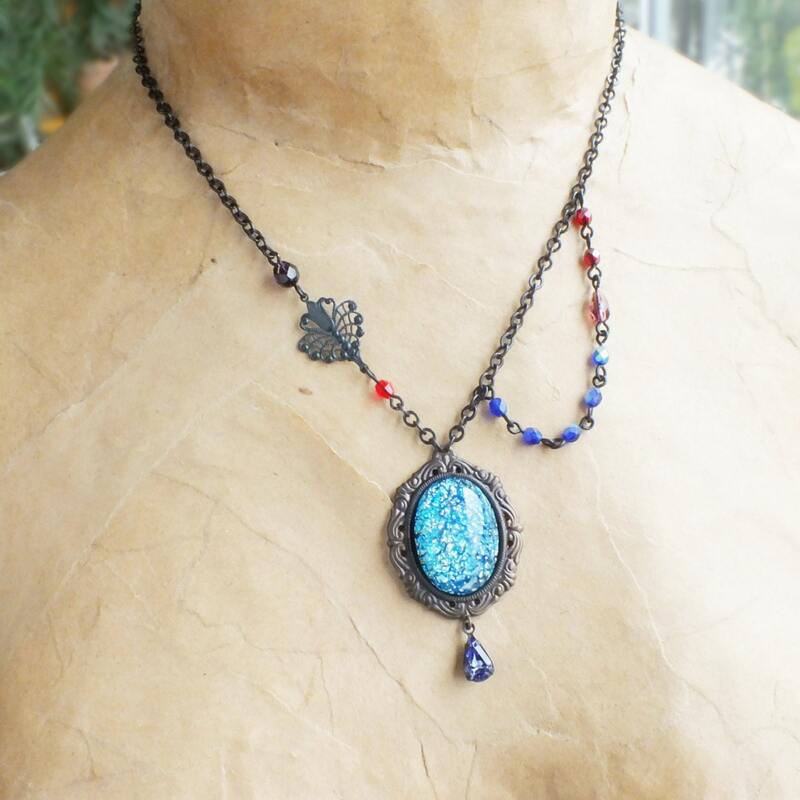 An asymmetrical style jewel tone necklace made with an ultra rare vintage glass opal in an aquamarine color I have never seen before. 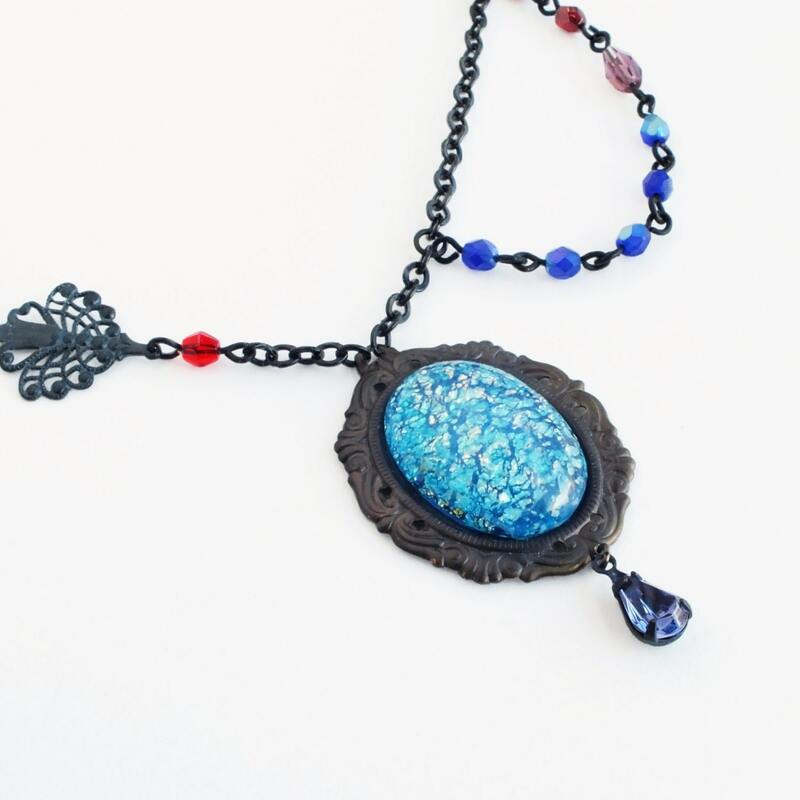 Set it in a dark hand-antiqued matte brown Rococo setting adorned with a vintage Tanzanite glass rhinestone drop. 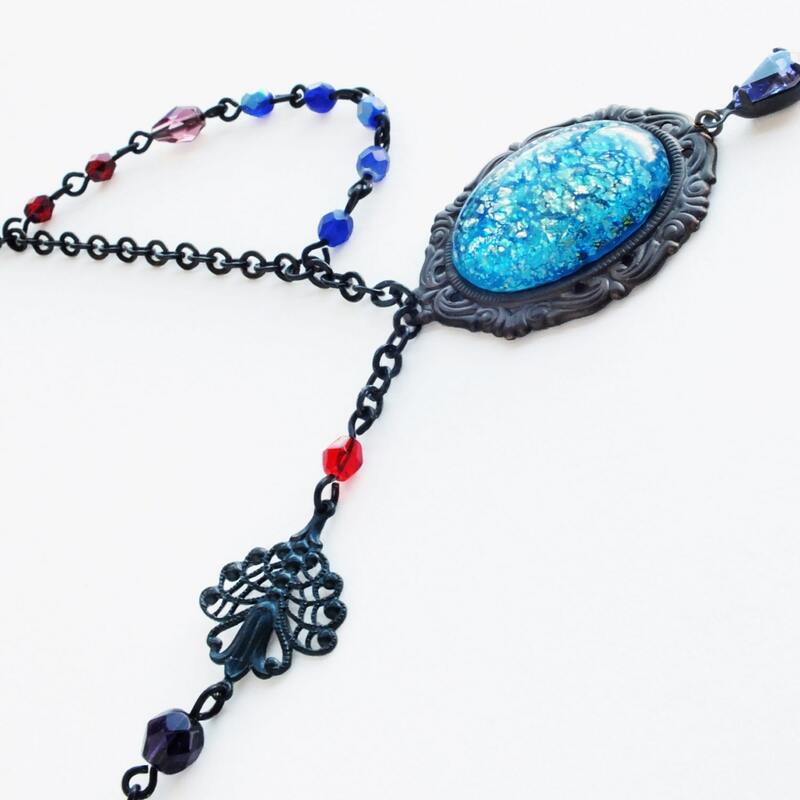 The necklace features lovely czech glass beads in iridescent Sapphire, ruby, amethyst and garnet as well as a dark oxidized 'peacock feather' brass flourish.